monitored by a resistivity cell and displayed on a digital display. The electronics can be verified and calibrated utilizing a N.I.S.T. Traceable Calibration module. 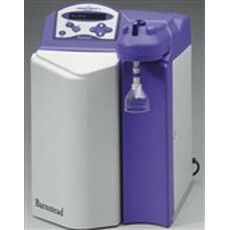 Produce ultra-pure water with the outstanding performance of the Thermo Scientific Barnstead NanoPure Diamond system. Find online auctions and classified ads for Barnstead products and more on the LabX Marketplace. Browse ads and contact the seller directly or request a quote for more details. Buy and Sell Barnstead Equipment and Accessories today on LabX!